What’s Next? The Two Kdrama Weekends in a Row Edition! 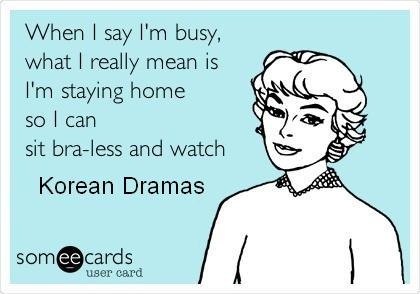 Kdrama weekend! Downside of having a car waiting to go into the shop? I can’t go visit friends on the weekends. Upside of having a car waiting to go into the shop? More Kdrama! I can’t believe I’m watching two new Kdramas on back to back weekends. It’s like pre-blog kdrama watching up in here! But now what to watch? It’s been a really long time since I’ve had a crack drama. Something that I absolutely couldn’t put down. There have been shows I’ve enjoyed, even really liked, but there is a difference between a good show and a crack show. I feel like I should watch something from this year as last week I did an old drama. And thinking about the end of the year review–I had to cram in a lot of Kdrama in a very short time because I didn’t watch current Kdrama throughout the year–I should plan ahead this year. Eh. I don’t know. Have there been any crack dramas this year? I hear Nine is really good but is it what I’m looking for? Here are the guidelines. In the interest of needing crack, the drama does not have to come from this year. It does though, have to be available on one of the big three–Netflix, DramaFever, or Hulu (actually we can also add in the Kdrama channel powered by Crunchyroll, I like them). The show needs to be complete! And preferably 16-20 episodes. So lay it on me. What do you suggest.